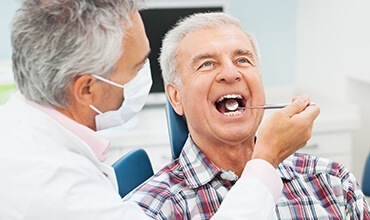 Nearly everyone is likely to experience a dental problem over the course of their lives, whether it’s as simple as a small cavity or as serious as advanced tooth decay. When you are in need of assistance to reclaim both your confident smile and your quality of life, please reach out to Dr. Ronan Freyne’s office here in Chevy Chase, MD. You’ll find a comfortable, clean office space, friendly and dedicated team members, and the high-quality services you need to enjoy great oral health and function once more. Contact us today to schedule your first appointment! Repairing a cracked or decayed tooth as early as possible is very important, as the problem can only become worse over time. 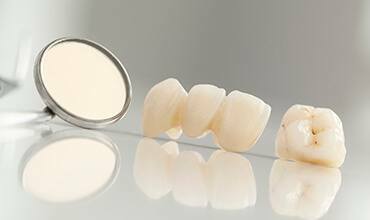 With the help of a custom-made dental crown, patients can protect their compromised teeth and restore aesthetics and function to their smile. If one or more teeth are already lost, Dr. Freyne can design a bridge that replicates dental structure in a permanent and sturdy fashion. Fillings are a common staple of restorative dental care, and one that continues to get better with time. Instead of traditional amalgam fillings, our practice now primarily offers a tooth-colored alternative that’s made from composite resin. Tooth-colored fillings can be applied to the affected tooth over the course of a single appointment, and Dr. Freyne can select a shade that precisely matches your existing enamel for a virtually seamless result. Better yet, these fillings are more comfortable and more conservative, which means our team is able to preserve more of the healthy tooth structure during the placement process. 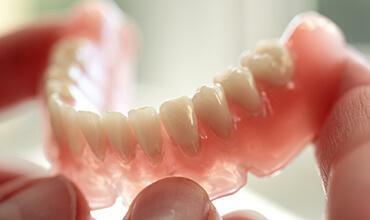 Dentures are an age-old solution to tooth loss, and today’s versions are more attractive and modern than ever before. Dr. Freyne offers both full and partial models. Full dentures are designed to be worn by patients who are missing their entire bottom or top arch of teeth, while partials can replace multiple missing teeth along the same arch while leaving natural teeth in place. If you’re looking for a more permanent and stable tooth replacement solution, implant-retained dentures are also available! 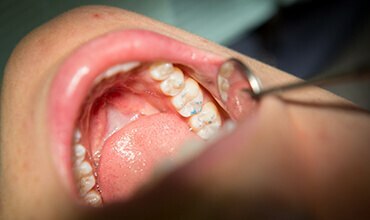 Sometimes, a single procedure just isn’t enough to address the problems a patient’s smile is facing. When faced with these cases, our team will work with you to create a personalized full mouth reconstruction plan. This plan will feature a unique combination of services that are scheduled in a way that’s ideal for the patient’s personal preferences, budget, and preferred timeframe. Dr. Freyne enjoys working on these advanced cases, and he believes that it’s never too late to retain the strong, attractive, and healthy smile you deserve!